There are moments in time in which great artists unite creatively and present the world with a unique gift through their creative riches combined. The collaborations contained within this rewarding collection are fascinating reminders of this aspect of the film medium. Two icons of cinema had one of the finest of artistic collaborations: acclaimed Italian neo-realism director Roberto Rossellini and one of Hollywood's most cherished actors, Ingrid Bergman; a creatively dynamic duo and a terrific team in making movies of merit. Together, Bergman and Rossellini crafted some of their finest motion-pictures, but these works of art were often overlooked by audiences. 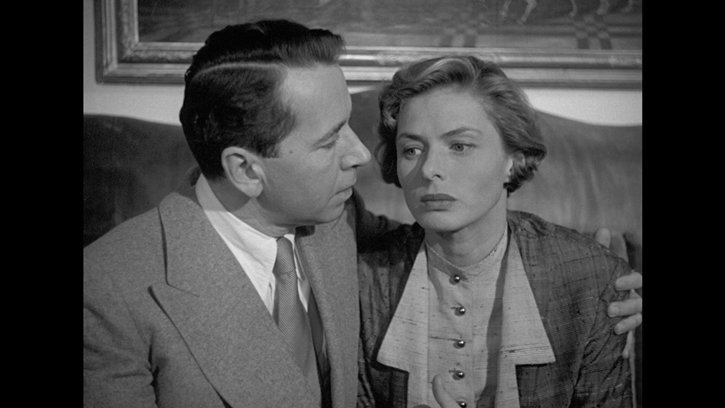 The works contained within this Criterion Collection release represent some of these efforts between acclaimed director Roberto Rossellini and actor Ingrid Bergman. 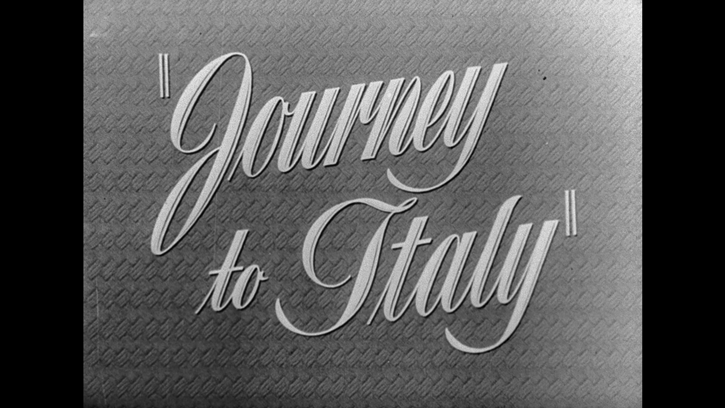 The three films presented are Stromboli, Europe '51, and Journey to Italy. 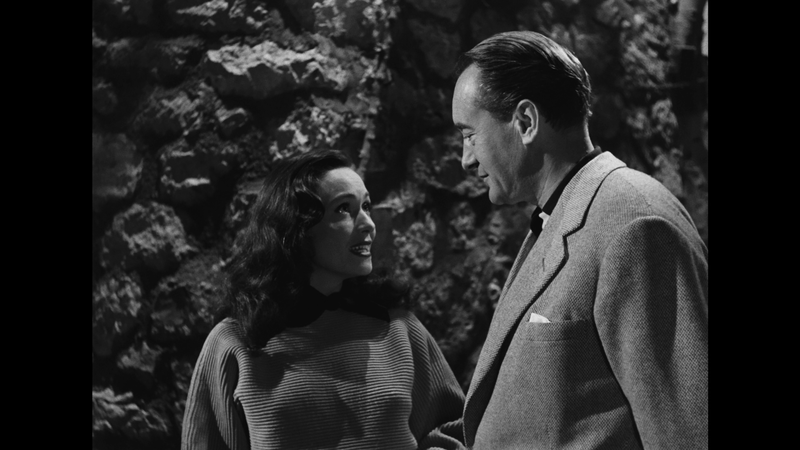 Each film represents something uniquely individualistic and is only a portion of their collaborations together during their artistically unified and most successful years throughout the 1950's. The story that is behind their artistic collaboration is long, detailed, and full of varying opinions on the work itself. However, much of this is arguably due to the backdrop of what was going on during the making of the first film in this collection, Stromboli. 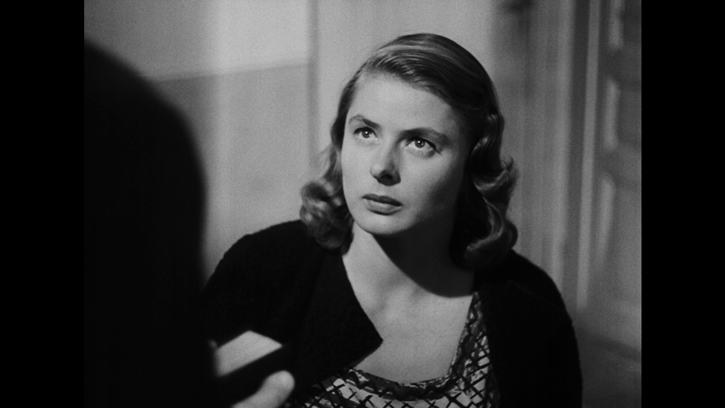 The story begins with the letter mailed from Bergman to Rossellini, which presented the filmmaker with an opportunity to work with the Hollywood star on future films. Bergman had seen some of his films and was greatly impressed by his style and it's apparent differences when compared to Hollywood filmmaking. This introductory letter written by Bergman reportedly arrived to Rossellini on his birthday and this fateful moment perhaps opened up a whole new world for both individuals. The pair would wind up making several films together over the course of their careers, have a highly publicized affair, something that led to divorce for both of them (as they were both already married), and the children who would become a part of their family; daughters Ingrid Rossellini and Isabella Rossellini. Renato Roberto Ranaldo Giusto Giuseppe, their only son, passed away at an early age. Critical responses were varied for their collaborations, with some acclaim arriving in spades and demonstrating how certain critics had developed a great love for these films (including a young Truffaut, who was writing for the popular film magazine Cashiers du Cinema when he responded positively to their film Journey to Italy - a film which was not a commercial success at the time of its original release) while others wrote the films off as too slow, boring, and for straying apart from Rossellini's model of filmmaking with unknown actors of little acclaim or star appeal. Filmmaking is an undeniably unique and impressive craft. There are so many opportunities and various ways in which to explores stories through the medium of filmmaking. The craft manages to offer a varied, fascinating, and rewarding 'envelope' of opportunities to storytellers through which to convey their views on the world or through which to tell their unque stories: for entertainment, for enlightenment, for introspection, and for all of the various means in which a filmmaker may choose to convey a story on film. This is something Rossellini understood better than most filmmakers, and he used this understanding of the art and craft to tell stories unlike almost anything that had come before some of his own efforts in utilizing the medium. Rossellini made films of great introspection. These efforts, particularly those with Bergman, demonstrated his capacity for wanting to make films with a sense of the philosophical, the spiritual, and the intellectual. He was always seeking ways to tell stories that were about a country, a people, and the effects of war or other sensitive issues. 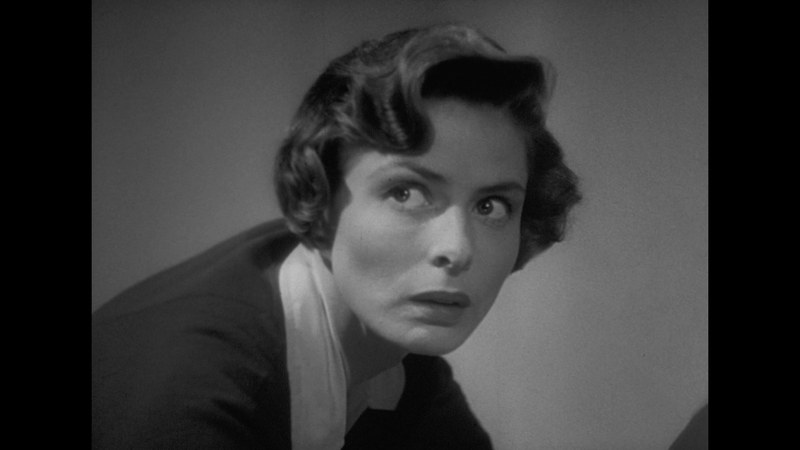 Rossellini's existentialism permeated throughout his films. 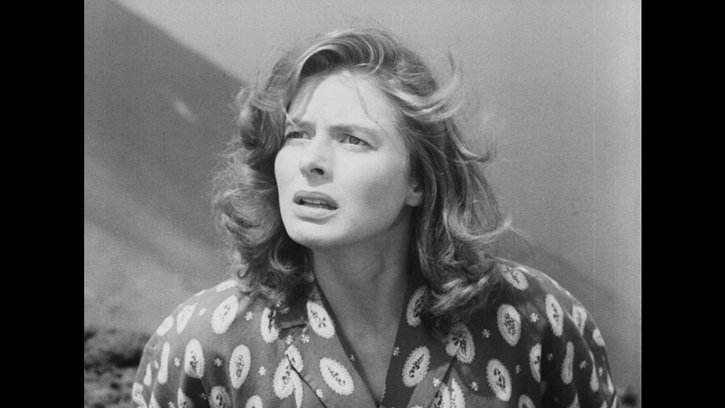 Stromboli (Stromboli Terra Di Dio) was Rossellini's first feature length collaboration with Bergman. 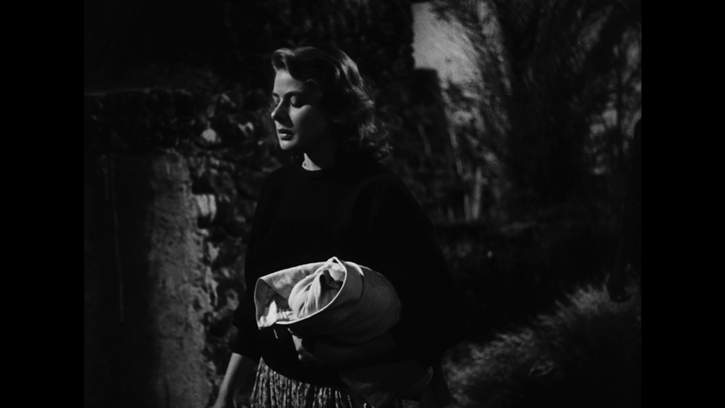 In Stromboli, the story takes place post WWII. Bergman performs the role of a Lithuanian refugee who ends up becoming married to a local fisherman, and leaving a prisoner of war camp to go back to the village where the fisherman lives. 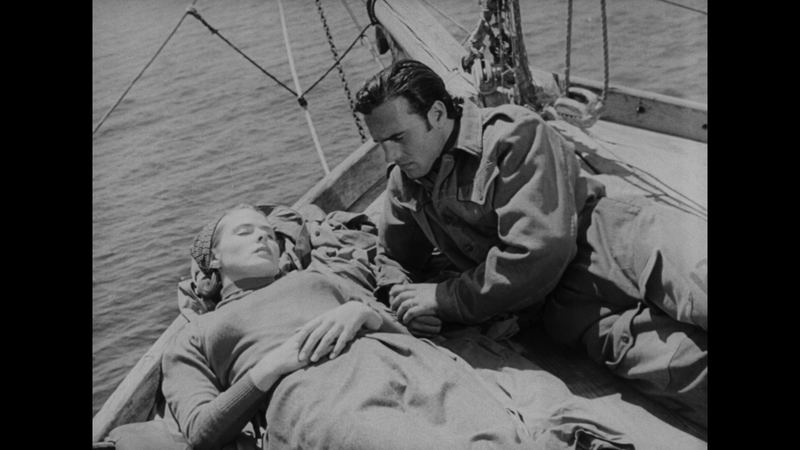 In this story, Bergman's character must face her emotional connection to the war in a world that becomes more and more disheartening to her at every turn. This new location, the village that our central protagonist goes to, is on a small-population island with a volcano: it becomes a cold, isolating, and overwhelming location for her as she faces the emotional turmoil of challenging post-war issues and the cold distance between her and the fisherman she is married to, whom there is a lack of romance, and who is a savage compared to her with the way animals are treated by him, and indeed, by the way he treats her as his wife. She cannot handle the emotion of events which remind her of the war, and she feels isolated without a way to leave the island. She wants something more out of her life, and she becomes flirtatious with another local man, who becomes an idea or representation to her of something better, but at the cost of gossipy townspeople considering her immoral, staring her down in moments of iciness. These moments of scathing emotions seem to wound her spiritually. Life is just not the same for her as the story unfolds. This is a story of one individual responding to the environment and the surrounding world post-war and it crescendos to a conclusion worthy of great analytical consideration. 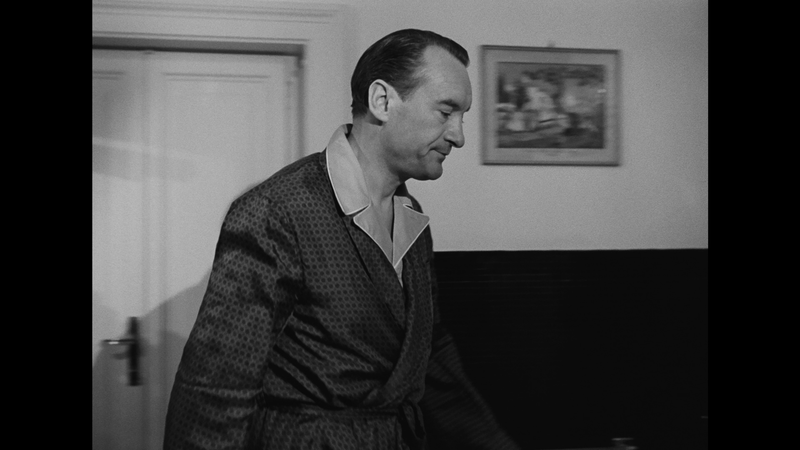 In Europe '51 (Europa '51), Bergman plays the part of a wealthy socialite from Rome who loses her young son. Presented in an ambiguous way, the story doesn't explain how the child dies and suggests numerous things to viewers: neglect, suicide, and possibly jus a tragic ending without a definitive take-away on why the death occurs in the film. 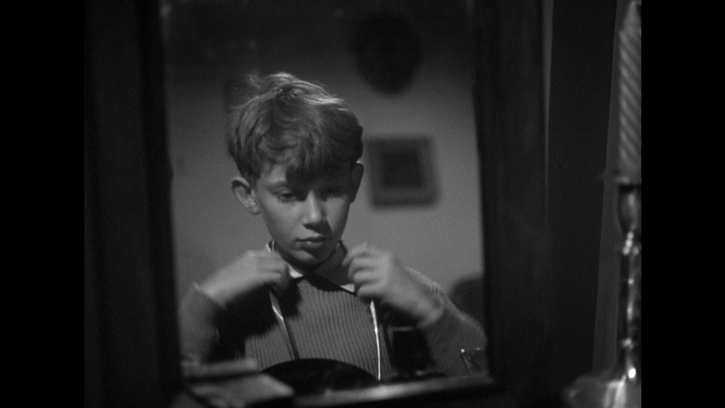 Yet the character Bergman plays is not presented as a cold, uncaring, or unloving individual. The loss of her son is a great tragedy; one which she feels with immense pain. This event in her life causes her to become a philanthropic individual who helps many lower-class citizens, mothers, and families who are in need of help to raise and protect their children. This newfound care for others, as given by this grieving mother, is viewed somehow as a waste by her husband, by the well-to-do friends surrounding them, and by the wealthy socialite individuals. She essentially becomes condemned as insane by these peers for seeking to do good for others, and for her unconformity. This is something that becomes a central focus and of the main thematic ideas in the story. Rossellini's concept was to examine the culture and to ponder over how one might be perceived when stepping outside of a certain expected pathway -- even for positive things like the goodwill of others. It was a issue examined in terms of societal response and of a cultural attitude. The film is filled with some surprising contrasts: it is a fascinatingly observational film in comparing the harshness of the working conditions of the working poor to those of the upper-class establishment, while also responding to this contrast with a sense of hope and pessimism simultaneously, both through the presentations of the characters and through subtle developments. This is one area in which audiences will find some of the greatness inherent in this Rossellini classic. In the final film included in the collection, Journey to Italy, Ingrid Bergman and George Sanders perform as a married couple who are newly realizing the marriage they are in has been one with detachment, coldness, and a sense of the unknown: both characters realize they know little of each other and they are faced with the realization that their marriage may be declining to its death. As the film unfolds, the couple spends time around Naples; both are primarily apart from one another and absorbing the world around them differently. 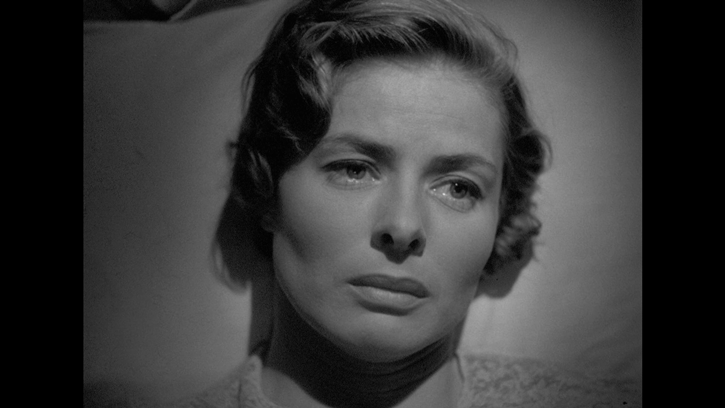 In some of the most powerfully resonant scenes of the film, Bergman's character explores Greek stones built to present historically significant figures in a society seemingly detached from her own time but that she recognizes as having some similarities: these are similarities that she is just as haunted by as she is haunted by her relationship's coldness. The stone art seems to represent a societal environment left behind, yet which seemingly brings to attention the thoughts on her declining marriage. The film dramatically builds itself to the climix - which is a surprising, heartfelt, and fascinating end that is memorable for breaking audience expectations. This story is one of the first presented in film about the relationship problems some couples face in feeling coldness or isolation even within their marriage; something which few filmmakers had addressed before Journey to Italy, thus making it a groundbreaking and important work that is still considered as an early example of modern filmmaking. The heart and emotion of the climax is powerful and makes the film dramatically more resonant, memorable, and essential as filmmaking. The film takes audiences on a fascinating journey that is philosophical in nature. 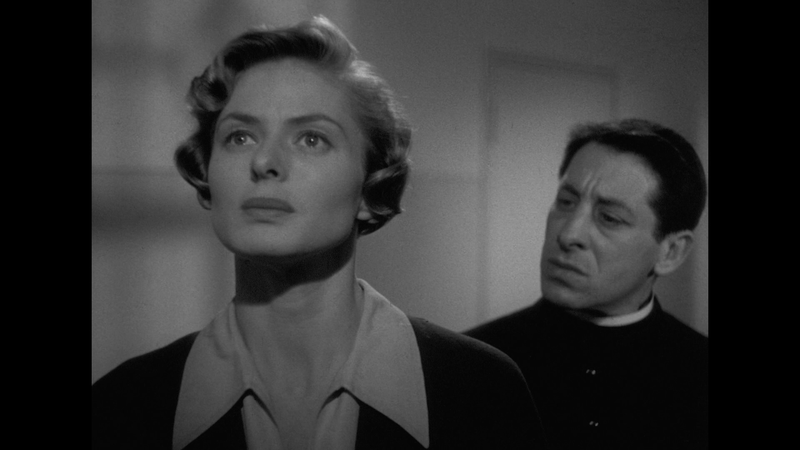 Rossellini's filmmaking style is observant, intelligent, and memorable. 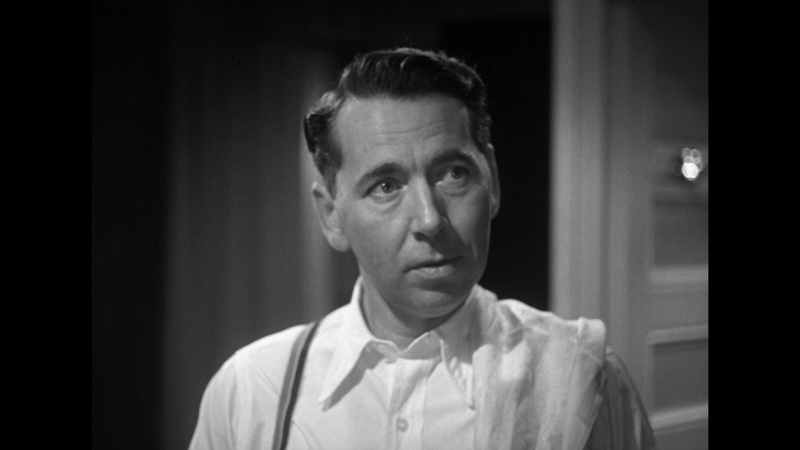 It's fascinating how some audiences and critics loved his signature slow-pacing, introspective style, and focus upon characters, setting, and story. These elements of his craft never necessarily works within the filmmaking styles most commonly in fashion in Hollywood and even overseas (he liked to work without scripts and to work more with conceptual ideas, breaking down these ideas into scenes and have them play out until something successful was accomplished during filming). Rossellini is a master of the long-take, a style in which the camera remains steady and focused upon a particular key moments in scenes. Without a doubt, Rossellini represents one of the master-class filmmakers who worked with a slow-build approach to directing. This style seems to be all about the importance of developing characters. I am certain these films were inspirations for other filmmaker's intellectual works. 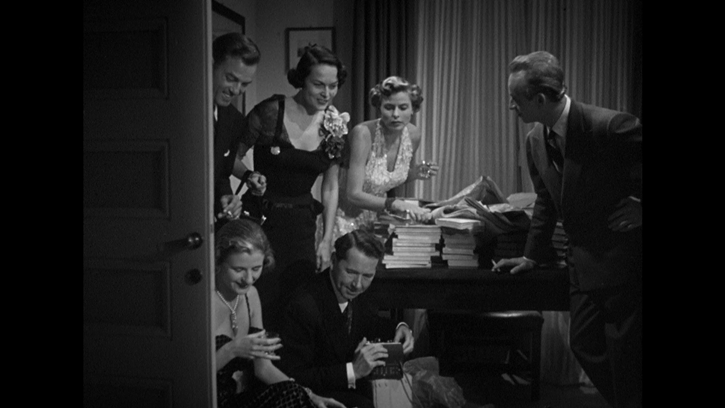 This is the kind of filmmaking that continues to inspire and to enchant with all it's richness. Bergman demonstrates her profound understanding of acting: her performance in each of the films in this collection presents a starkly different character facing different circumstances and she manages to excel wonderfully in each of these parts. There is no doubt surrounding why she was one of the most cherished of all Hollywood actors: Bergman was, and remains, one of the absolute best. In each of these roles her brilliant performances feel accented by becoming enveloped with the sensibilities of Rossellini and of the neo-realist movement. It was a good combination that led to beautiful results. With the combination of these two artists some great films were made and genuine art was achieved. The behind-the-scenes history between the couple remains something that, for some audiences, may have even overshadowed their efforts together at making cinema. This isa great misfortune as the works Bergman and Rossellini produced together are extraordinary. These films represent some of the absolute best of the 1950's and are essential viewing for all cineastes of the world. As for this collection, I believe it stands as one of the finest yet from the Criterion Collection. This is essential cinema and the quality of this release is fantastic. This is an exceptional release that will please film fans looking for both a historical document and a treasure trove of these Bergman - Rossellini creations. The presentations for the three films contained in this Blu-ray collection are of varying quality. The Criterion Collection has presented these three works with transfers retaining the original artistic intent as best as possible. There were several versions of each of the three films released internationally upon initial release. Print qualities around the world were often poor quality so utilizing the best available materials was one of the main aspects of the restorative work. Considering these aspects, all of the transfers look relatively stunning in their restorations. Each film on the set is presented in the original aspect ratio of 1.37:1 full-frame and has been given a 1080p presentation. 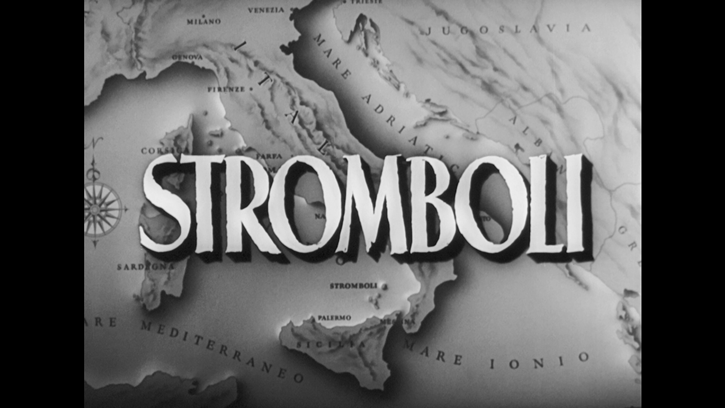 Stromboli received a 2K restoration for the Italian-language version and Europe '51 received a 2K restoration for its English-language version. The alternative versions, Stromboli's English presentation and the Italian Europa '51, were given digital restorations. There are some noticeable differences between the 2K restorations and digital-only restorations. On the 2K presentations contrast, image stability, and overall print quality has the appearance of being more robust and pleasing. For Journey to Italy, only one version is presented: the restored 4K version, which is the most impressive transfer on the Blu-ray set. Some print damage, specks, lines, and minor ailments are present on all three films. With Journey to Italy, the presentation is almost flawless and pristine with only a few barely noticeable issues (an occasional frame may have a minor imperfection fleetingly seen). The transfers for Stromboli and Europe '51 are generally impressive, especially with the 2K scan restorations, but there are more instances of print damage. However slight it might seem for some, these transfers cannot be ranked as 'perfect' by any means, even if these transfers resulted from the best material possible. There are scenes with lines of print damage and it sometimes distracts. However, these issues are not inherent to the entire film presentations and it's clear that a pristine, near-perfect presentation is simply unavailable at this time for Stromboli and Europe '51. The digital restorations, in my estimation, are not as notable as the 2K scans and restorations. The image stability is considerably less notable and more instances of print issues are present. Before anyone wonders why they wouldn't simply use the same masters for either version, it's because there are differences that exist between the English language and Italian Language versions and that are not simply a result of dubbing. These differences might not seem earth-shattering to some viewers, but the changes in versions are discussed in-depth within the supplemental materials. Bit-rate and encodes are MPEG-4 AVC and do not disappoint. It's unfortunate that the films are inconsistent in restoration quality, but from reading the information included within the set's booklet this is a case of the best materials being used as best as possible and the results are simply not up to my usual expectations from Criterion. That is not to say that any of these transfers are slouches or major dissapointments. I do wonder if the digital-only restorations would have been better with 2K restoration treatments given, which seems likely to me, but as most will consider the versions given the 2K treatment as 'definitive' versions this might not be as big of an issue for some. The audio was remastered and restored. The audio is presented in uncompressed mono with each film on the set. The audio is generally clean and crisp, and with easy to understand dialogue (which is the most essential element for these presentations). The music scores are reasonably good sounding. The restoration work is impressive on the 2K and 4K film presentations. 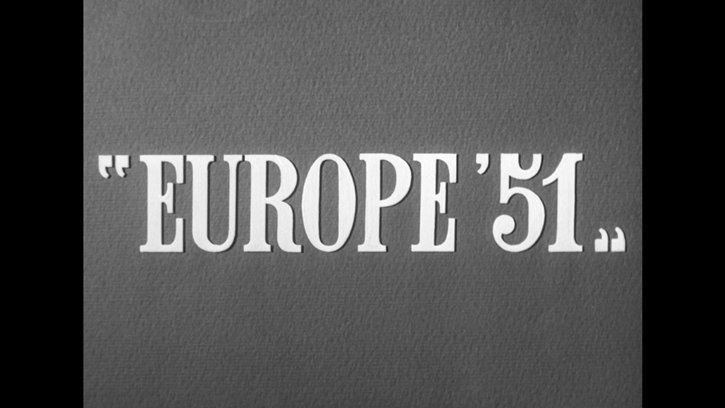 There isn't much to complain about but the digital restoration versions of Stromboli and Europe '51 have less refined audio restorations and they comparatively sound a little bit muffled and a little less refined. However, each and every audio track is presented with impressive bit-rates that surprised me at a consistent 2-3 mbps for mono presentations. The recordings were remastered at 24 bit depth. Note: Each film includes a brand new subtitle translation. The supplemental features, in some ways, represent the most impressive element of this release. The films are amazing, of course. However, the restorations (while generally impressive throughout) are not without some imperfections. It amazed me then to realize that this is arguably one of the best supplemental packages ever put together by the Criterion Collection. For those who are frequent Criterion followers and fans, you know that means this is one of the best releases of the entire year. There was so much effort that clearly went into the supplemental package for these films. A 85 page booklet of material, including essays by Dina Lordanova, Richard Brody, Dagrada, Paul Thomas, and Fred Camper, letters exchanged between Bergman and Rossellini, an article written by Rossellini, interviews with the filmmaker (including one that was conducted by Truffaut and Rohmer), and information about the restorations and presentations. Introductions to each film from director Roberto Rossellini (from television presentations once held for the films). Rossellini Under the Volcano; a documentary which returns to the filming location of Stromboli fifty years following its original creation. Interview with film historian Elena Dagrada on the differences between the versions of Europe '51. Audio Commentary by film scholar Laura Mulvey on Journey to Italy. Short film featuring footage of the Rossellini family during the production of Journey to Italy, presented with rare footage, an early appearance of the family on film, and featuring their son and two daughters. New interviews with film critic Adriano Apra on all three films included in the collection. Surprised by Death; a visual essay from critic James Quandt about the historical and artistic themes found throughout Stromboli, Europe '51, and Journey to Italy. 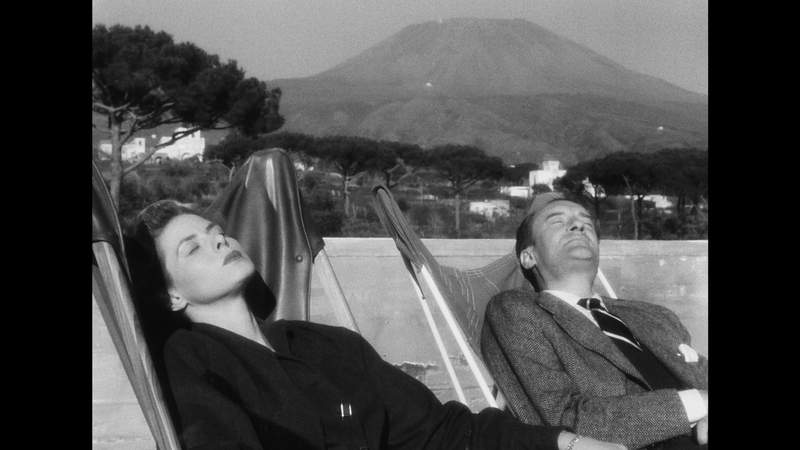 Living and Departed, a new visual essay from Rossellini scholar Tag Gallagher on the evolution of the director's style across the films Stromboli, Europe '51, and Journey to Italy. New interview with Director Martin Scorsese about the films and his appreciation for them over the years. 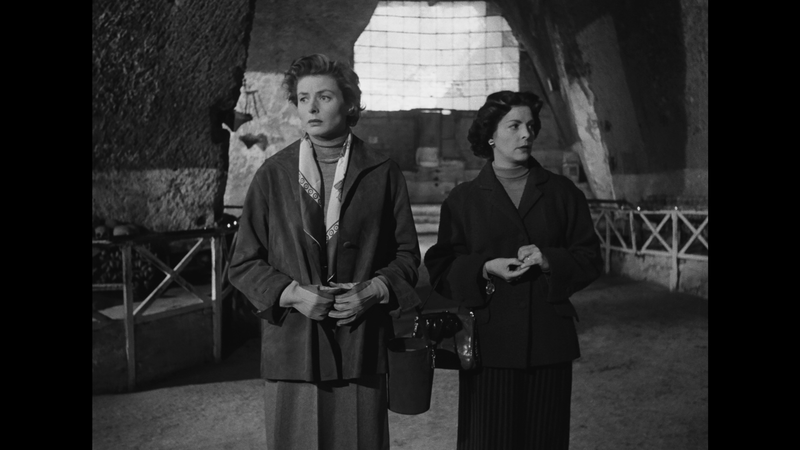 New interview with Ingrid Rossellini and Isabella Rossellini, daughters of Roberto Rossellini and Ingrid Bergman, which includes information about their experiences with their parents and their thoughts on the films. Rossellini Through His Own Eyes, a television documentary from 1992 about his approach to cinema. New interview with G. Florella Mariani, Rossellini's niece, featuring Bergman's home movies shot on 16mm, including moments filmed during the time period of the making of Stromboli. 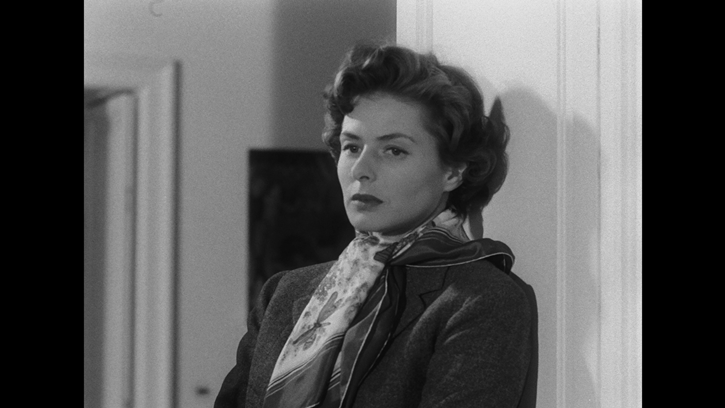 Ingrid Bergman Remembered, a 1995 documentary about the actress's life, and narrated by her daughter Pia Lindstrom. My Dad is 100 Years Old, a short film written by and starring Isabella Rossellini where she plays every part in the film, including her father Robert Rossellini, mother Ingrid Bergman, and many of his critics and others filmmakers, including Hitchcock, Fellini, and others. This personal short film was deeply felt and seems to be a unique exploration of her feelings about her father's work, his style, and his perception to the world. It is essentially about her relation to him as her daughter. This film is both fascinating and bold. The Chicken, a strange and humorous 1952 short film, originally included as part of an anthology film compilation. 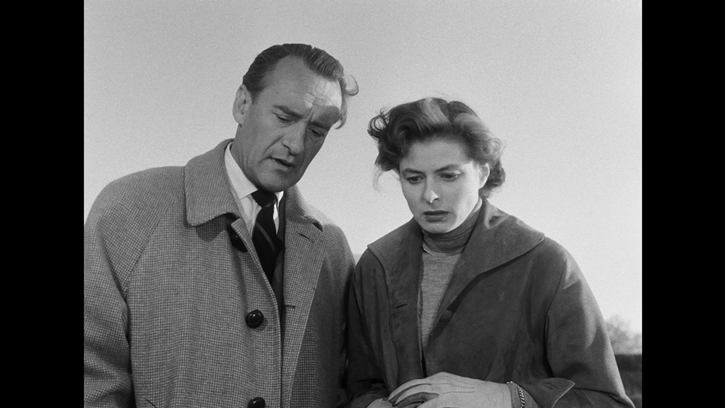 Directed by Rossellini starring Bergman, it is quite different in style than the other works they made together. In fact, it is a rather silly short. It's a fascinating companion piece to the films contained in this collection. 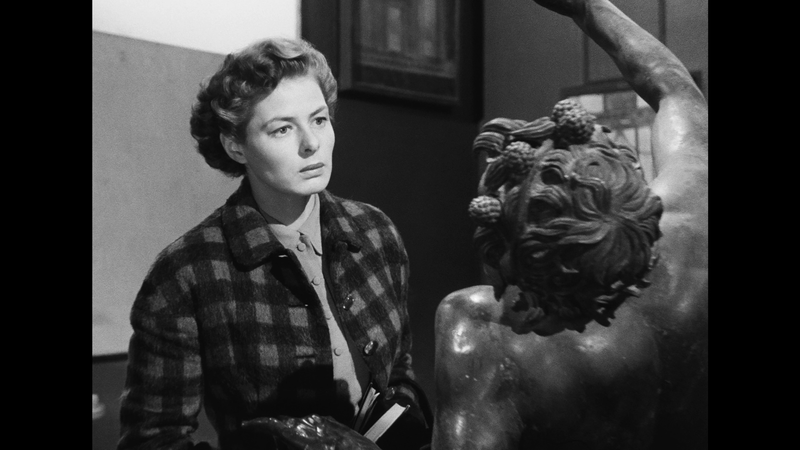 These three films (Stromboli, Europe '51, Journey to Italy) are all essential and present various reasons as to why both Rossellini and Bergman were some of the most important figures in cinema's history. Criterion has produced an incredible set for viewers to discover or re-discover these films, with a generous package of informative and essential supplements and noteworthy, high-quality restorations which resulted from utilizing the best materials available. While I wasn't completely enamored with the digital restorations on the alternate versions included of Stromboli or Europe '51, the included 2K and 4K restorations for these three films will be undeniably satisfactory for film fans. This is a must-own collection for movie lovers everywhere as this is an incredibly insightful set, intelligently produced, and one that is deserving of our highest accolade, the highly coveted DVD Talk Collector Series.